Piece of Cake is more than twenty years old (March 24, 1996), and we would like you to join us in celebrating MCRRC’s birthday with a run through the scenic Seneca Creek State Park. You’ll encounter rolling hills on the park’s quiet roads — expect a few deer sightings along the way!!! It’s best to enter the park between 6:30 am and 7:15 am to obtain a good parking space. Per Seneca Creek State Park’s strict request, the park’s BOOTH GATE WILL CLOSE SHARP at 7:30 am and will re-open at 9:00 am.CARPOOL…CARPOOL…CARPOOL since the park has extremely limited parking and we cannot allow illegal parking as doing so will jeopardize our ability to obtain permits for future races at this beautiful park. If you arrive at the Booth Gate at 7:30a or later, Seneca Park will ask you to park at one of its prior lots. It’s a 1/2mi walk/trot up to the START. Don’t delay — avoid climbing one extra hill! 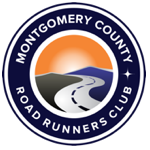 The race is part of our low-key club race series and is free for MCRRC members, $10 for non-members 18 and over, and $5 for non-members under 18 for the 10k & 5k, and $0 for 2.80k and quarter/half mile. For race day registration, runners must use the Low Key Club Race Entry Form if you do not plan to REGISTER ONLINE. Online registration will close on Friday, March 23rd at noon EST. Race day registration will still be available.